Wallace O. Green is the Director, Public-Private Partnerships and Business Brokerage for TradeMark Properties. Wallace’s primary specialty with TradeMark in General Commercial Real Estate. In addition to his work with TradeMark, Mr. Green is President and CEO of The Raleigh Area Development Authority (RADA), a not for profit community economic development organization focusing on low and moderate income communities. RADA is primarily engaged in arranging commercial and residential mortgages for low income property owners through banks and institutional lenders. Mr. Green has developed residential properties in Southeast Raleigh, assisted private investors with project feasibility analysis and marketing, and has served as project manager for restoration, rehabilitation and re-use of the historic Ligon House, and The Raleigh Safety Club, which has been converted for use as a community and business service center. In his capacity with RADA, he has provided real estate predevelopment services to numerous private and non-profit property owners. Finally, Mr. Green is a mentor to several local small business owners and served as consultant to the highly successful Pacesetters program managed by the Raleigh Business and Technology Center. Prior to joining RADA, Mr. Green was President and CEO of ABLE Manufacturing, Inc., and Paragon Technologies, LLC, engaged in manufacturing, distribution and supply chain management. He has also held past positions with The Council on Foundations (VP Finance, 1981-’84), the US Department of Interior (Deputy Under Secretary, and was nominated by President Jimmy Carter to serve as Assistant Secretary for Territorial and International Affairs, 1977-’81), and, for the United States Congress (Staff Director, subcommittee on the District of Columbia, and Staff Director, Joint Senate and House Committee on the American Bicentennial, 1974-’77). 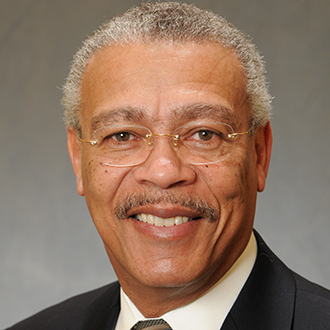 Mr. Green also currently serves on the Board of the African American Real Estate Professionals of North Carolina, The Harvest Institute, and the Minority Legislative Education Program. Choose one of the interest areas, required.